Just before few days, Facebook launched Hello Caller ID & Blocking to know who’s calling you and block the unwanted calls directly. The social networking giant is in no mood to stop the updates rolling out every now and then for its messenger. This time, it has launched video calling in Facebook Messenger to connect with your loved ones instantly. The update has just started to roll out in Google Play and iTunes for Android and iOS users respectively. 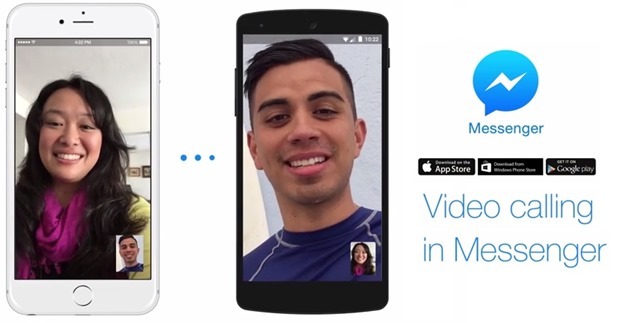 There are more than 600 million users worldwide who use messenger every month and going forward they would be able to take an advantage of this new video calling feature. The update is currently being rolled out in selected countries only. It is currently available in U.S, U.K, Belgium, Canada, Croatia, Denmark, France, Greece, Ireland, Laos, Lithuania, Mexico, Nigeria, Norway, Oman, Poland, Portugal and Uruguay. As of now it’s not available for Indian users, but according to the announcement made by Facebook, it will soon be available for all the countries in the upcoming months. Any impact on other video calling apps? Given the huge huge user base that Facebook messenger has, apps like Skype, Hangouts and others that support video calling are sure to face a stiff competition. I have observed that WhatsApp’s voice calling is cheaper as compared to normal calling (International calls), but would video calling through messenger be worth as compared to 3G video calling? Well, that’s the biggest question if you are looking forward to save a bit more while video calling. If you are using the Facebook video calling feature through Wi-Fi, it will be absolutely free of cost but if you are using 3G/2G network on your smartphone or tablet, the data charges will be applicable. I don’t think that it would support on 2G networks because we have recently tested the WhatsApp voice calling feature on a 2G network which didn’t give effective results. After all, it was just a voice call and video calling might be too slow in such circumstances. We will update you as soon as we receive the news of Facebook Messenger video calling feature availability for Indian users.